Are you attending the American Academy of Forensic Sciences 69th Annual Meeting? If so, visit us at Booth 906! 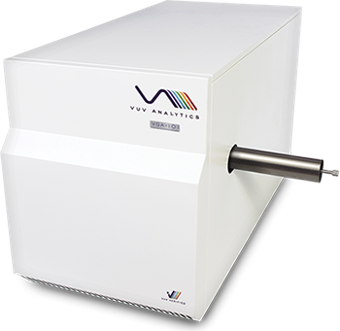 VUV Analytics presents the gas chromatography – vacuum ultraviolet spectroscopy (GC-VUV) analytical solution for the rapid identification and quantitation of illicit compounds February 15-17 at Booth #906 during 2017 AAFS in New Orleans, LA. The VGA universal gas chromatography detector provides excellent measurement sensitivity and unmatched selectivity of co-eluting isomers without the need for chromatographic baseline resolution or calibration. All compounds absorb strongly in the VUV spectrum, and their inherent absorbance cross sections lead to unique spectral fingerprints. 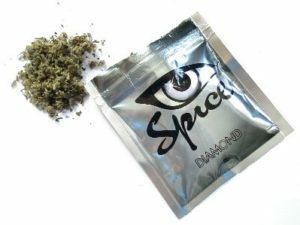 The abuse of synthetic cannabinoids, also known as Spice or K2, by teenagers, young adults, and the homeless population is a growing problem across the U.S. Inert herbal blends sprayed with synthetic cannabinoid compounds have led to thousands of hospitalizations and overdose deaths over the past several years. These compounds are sold by international manufacturers and imported legally into America because the synthesis of banned substance variants outpaces the U.S. DEA’s ability to identify them. The GC-VUV analytical solution provides rapid identification and quantitation for these compounds. According to the Centers for Disease Control and Prevention, deaths from synthetic opioids increased by 79% between 2013 and 2014. During that period submissions to the Drug Enforcement Administration saw a 426% increase in drug products testing positive for fentanyl. Fentanyl is a well characterized compound, but distinguishing between its isomeric forms such as valeryl fentanyl, parafluorofentanyl, and furanyl fentanyl can be problematic using traditional GC-MS methods. 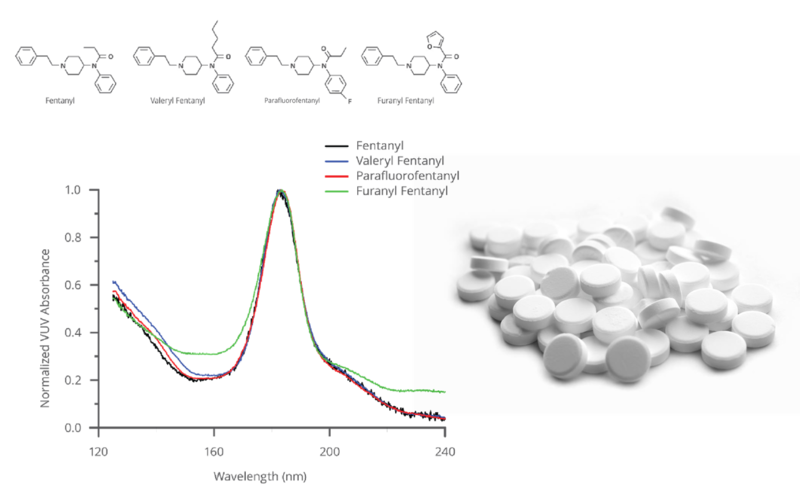 The GC-VUV analytical solution provides rapid identification of synthetic opioid isomers such as parafluorofentanyl, valeryl fentanyl, and furanyl fentanyl. 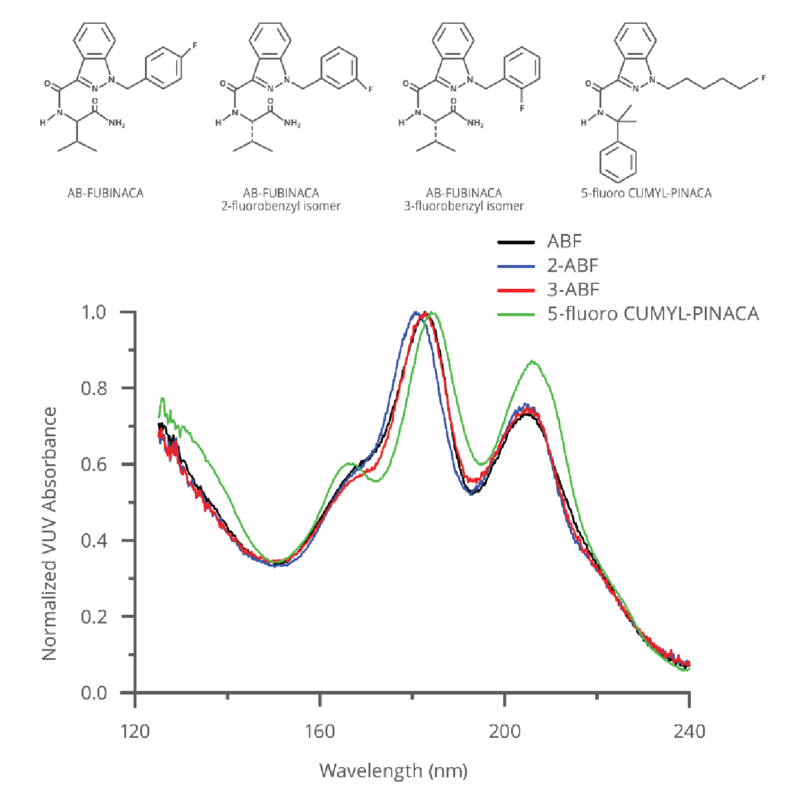 When the VUV spectra of these compounds are overlaid distinct differences are observed despite the similarities in chemical structure. The spectral features are reproducible and provide distinguishing characteristics that allow positive identification and quantitation through the VUV spectral library. Application of gas chromatography-vacuum ultraviolet (GC-VUV) spectroscopy in the analysis of synthetic cathinones, Poster, Criminalistics, Wednesday 02/15, 11:30am – 1:00pm. Angelica D. Szewczak, BS (George Washington University), Cory A. Vaught, BSC (George Washington University), Jonathan P. Smuts, PhD (VUV Analytics), Walter F. Rowe, PhD (George Washington University), Ira S. Lurie, PhD (George Washington University). Ultraviolet (UV) spectra of synthetic cathinones, Oral Presentation, Friday 02/17, 10:15 am – 10:30 am. Walter F. Rowe, PhD (George Washington University), Stephanie R. Carnes, MS (George Washington University), Ioan Marginean, PhD (George Washington University), Ira S. Lurie, PhD (George Washington University). VUV Analytics manufactures the VGA-100, VGA-101, & SVGA-100 universal gas chromatography (GC) and streaming gas detectors. Please feel free to contact VUV Analytics directly if you are interested in scheduling a meeting during 2017 AAFS.